I’m just getting back to Chicago and settling into my routine after a weekend trip to Boulder, Colorado for our first ever Healthy Glow Co. retreat, which was absolutely AMAZING. 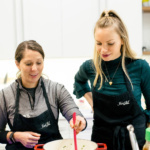 Fourteen girls from across the country to celebrate the amazing community we’ve built for the past year and enjoy a day of self care including facials, hiking, cooking together, family style meals and SO MUCH MORE. Anddddd that’s not all! This weekend we also celebrated some big news: our HGG STRONG fitness plan is finally live! 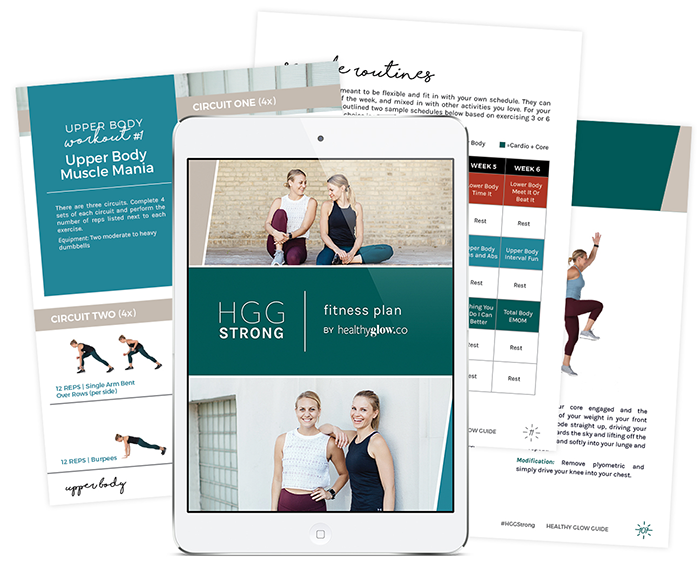 HGG STRONG is a fitness guide packed 6 full weeks of programming with 18 brand new workouts designed in partnership with my dear friend Kathryn Morgan, a Chicago-based certified personal trainer and group fitness instructor. The workouts in #HGGSTRONG are focused on getting you STRONGER by lifting heavier weights, incorporating plyometric moves, and challenging you with cardio bursts. We’ve even included a test to help you measure your strength before, during and after you complete the guide. 6 weeks of workouts (3 new workouts each week). A video library including demonstrations of how to do each move in a workout so you can practice good form. The workouts balance both strength and cardio with targeted exercises that you can complete in 45 minutes or less — perfect for your busy schedule. We’ve designed the workouts to hit your upper body, lower body and core while building endurance, so you’re guaranteed to get stronger and feel like a badass. Whether you’re starting strength training for the first time or you’re an old pro, each workout has modifications to meet your fitness goals and needs. We know how important it is to fuel up before and after your workouts, so if you buy before the end of this week, we’ll include a 10 recovery snack e-book packed with recipes that include the perfect combo of carbs, fats and protein. These delicious snacks are quick, easy and perfect for prepping during the week so that you can focus on crushing your workout. I can’t wait for you guys to try out #HGGSTRONG. Head to the store and pair fitness + delicious recipes with the HGG STRONG Fitness Plan and the HGG Fall & Winter Meal Plan (think comforting, hearty meals to enjoy all season long). 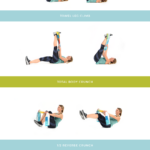 In case you want a little bonus workout, try these 10 ab exercises that only take 10 minutes to complete. 1 minute per exercise! Ready, set… GO! 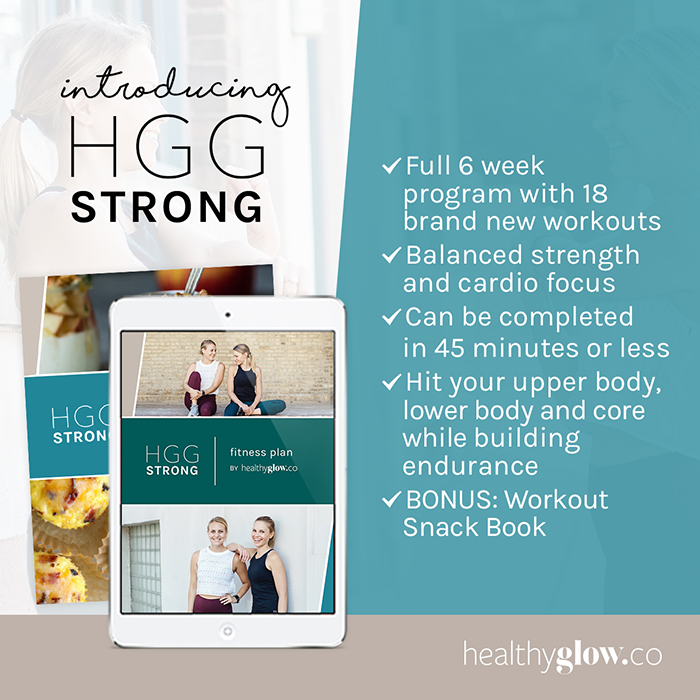 Grab your copy of the HGG STRONG program today and let’s get stronger together! Leave me a note or tag #HGGSTRONG or #HGCCOMMUNITY to share your progress – we can’t wait to hear how it’s going. Enjoy xo! 13 Responses to "Introducing the HGG STRONG Fitness Plan + 10 Ab Exercises in 10 Minutes"
How exciting! Sounds like a great plan! I love your website – the recipes, the exercise, all of it! I have some questions about the HGG Strong Fitness Plan. Are the exercises all on videos for us to work along with you? Are there modifications for those that have not exercised in a while and need time to rebuild? Is this for beginners? I have lost a lot of muscle and need to put back about 10 lbs. due to an autoimmune disorder. I really want to try this to regain strength and muscle tone. Any feedback that you can offer would be greatly appreciative. Hi Connie! So glad you’ve been enjoying everything here 🙂 The HGG Strong plan sounds perfect for you – we have all of the exercises on video so that you can see proper form, modifications, etc. and the plan is great for beginners! We understand that workouts are not a one-size fits-all, which is why you get to choose your own weights and follow any modification that works best for you. Let me know if you have any other questions! Yay HGG Strong! So excited for the launch of the program!!! Looks like an amazing plan! I will definitely try the 10 abs exercises in 10 minutes too. I need to work my core! Such a great one in a time crunch! Ohhh that looks great! I’m always on the lookout for new workout routines that don’t take ages (WHO has time to workout for an hour and a half every day…). I think I’ll definitely give it a go!